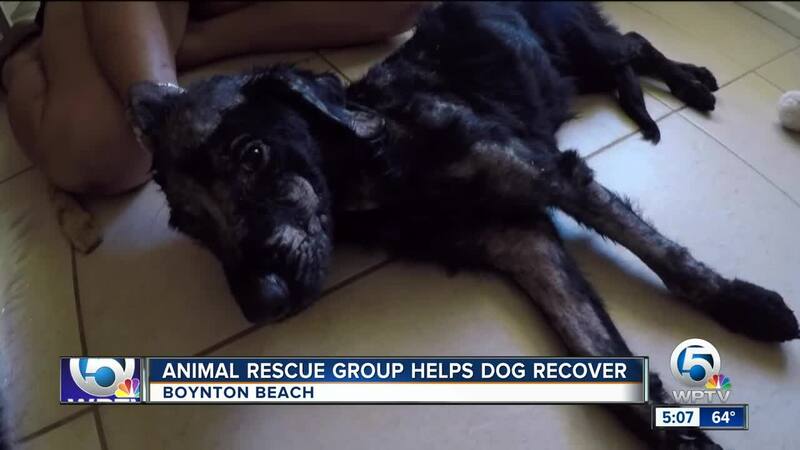 A dog that was found sick and suffering in Miami is now recovering at a Boynton Beach animal rescue. 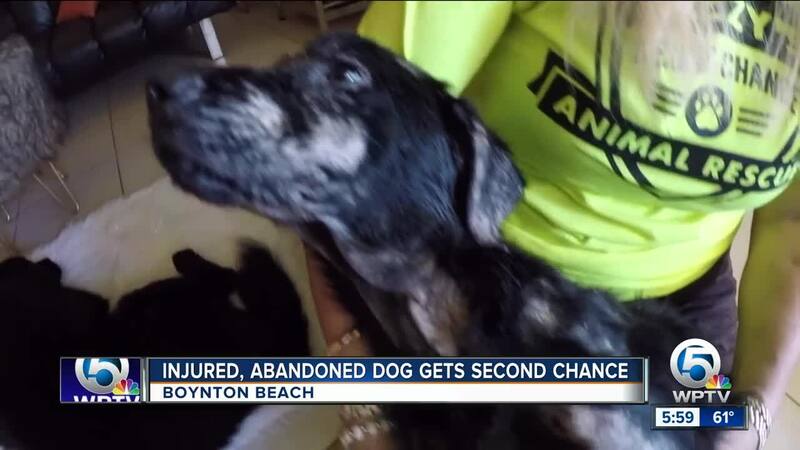 BOYNTON BEACH, Fla. — A dog found sick and suffering in Miami is now recovering at a Boynton Beach animal rescue. Dezzy's Second Chance Rescue Ranch posted on Facebook that the dog was in horrific condition and couldn't even walk when it was brought in on Dec. 14. 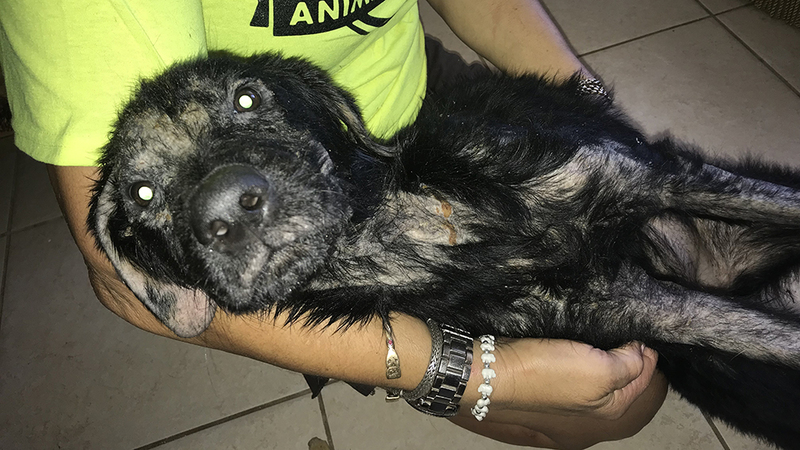 Officials said the animal had a severe case of mange, as well as an auto-immune disease. Miami-Dade County Animal Services said she was found along U.S. 41 by police on Dec. 11. Saundra Dezelan Axelband started Dezzy's Second Chance Rescue Ranch 15 years ago. She keeps about 30 rescues at a time, all of them recovering from animal cruelty. "I basically look for the worst of the worst cases," said Axelband. She said she rescues dogs who have suffered because she is one of the few who will. She said medical costs can add up and it can be hard to see an animal suffering. But the rewarding part is seeing a dog start to get better, like the one who just came into to rescue. "You know you are doing your small part in the world," she said. 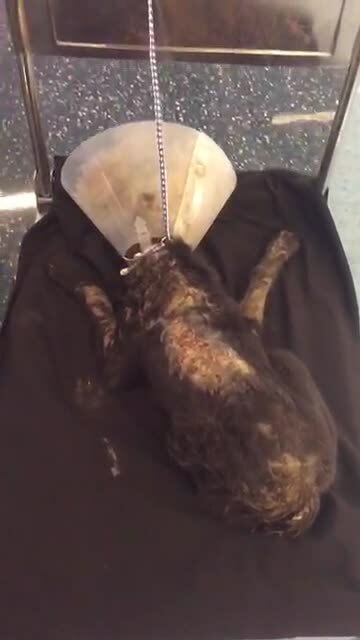 Doctors said the dog from Miami is getting better and can now stand on her own. But they admit it'll still likely be six months until she's healthy enough for adoption. Officials said they need help naming the dog, and want suggestions from the public. Dezzy's Second Chance Rescue Ranch relies on donations to care for dozens of sick, homeless animals. To donate, click here .